After an ending to the 2018 season that could lightly be described as disappointing, the Yankees have quite the score to settle in 2019. What with that knowledge, the coaching staff needs to take an already winning formula and transform it into a World Series-winning formula. The entirety of the 2018 coaching staff is coming back for the 2019 season, so the biggest advantage there is the fact that they’ve seen it all and know where improvements must be made. Their return also indicates that Brian Cashman has faith in the current staff to get the job done. 100 wins is no small statistic; however, it wasn’t enough to win a World Series, and that’s what’s expected when you’re the New York Yankees. So, what can we expect from the coaching staff in 2019? How will they help to settle the score and take an already-winning team into a World Series-winning team? The Yankees’ skipper has a lot to prove in his sophomore season as manager. As expected for a first-season manager, he was met with a great deal of skeptics, and even more criticism. He kept pitchers in the game for too long -- most notably, Luis Severino during Game Three of the 2018 ALDS. 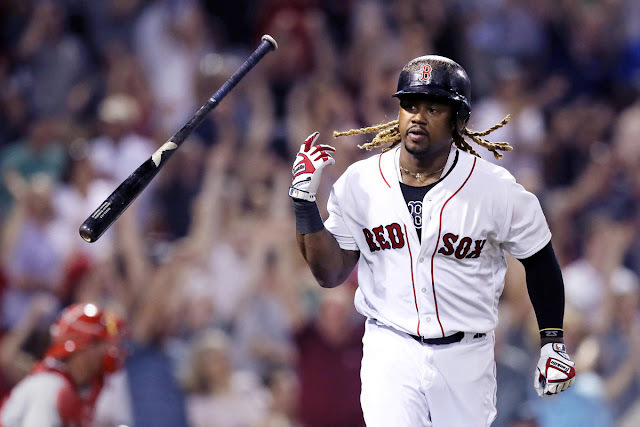 He was "too relaxed," and gave players the benefit of the doubt, including voicing his hope that Gary Sánchez would simply “find his gait” following the infamous “non-hustle” game last July. I’m no MLB manager, but, I’d think I’d be a bit harder on the Yankees’ first-string catcher… and I’m almost certain Joe Girardi would have dealt with the situation with greater intensity. Boone’s managerial style, as well as his pre-game preparations, certainly differed from those of Girardi. However, Boone was also met with praise, even during the postseason -- particularly during the 2018 AL Wild Card game , and his faith in Severino to start that game in spite of a less than stellar second half. His ability to relate to the so-called “Baby Bombers” comes with his comparatively less intense managerial style. Boone's knowledge of analytics has known to be outstanding. And we fans shouldn’t lose sight of the fact that Boone, as a first-year manager (having never served as a manager or a coach previously, just as a player and a commentator) led the Yankees to over 100 wins as well as to the 2018 postseason. So, what should fans look for from Boone in 2019? Certainly we shouldn’t look for Joe Girardi 2.0. But we should look for a Boone that is primed and ready to lead the Yanks to World Series championship #28, especially since the Yankees are the favorite to take it all in 2019. We should look for continued focus on analytics, and for improved handling of a good problem to have: many talented players but too few roster spots. 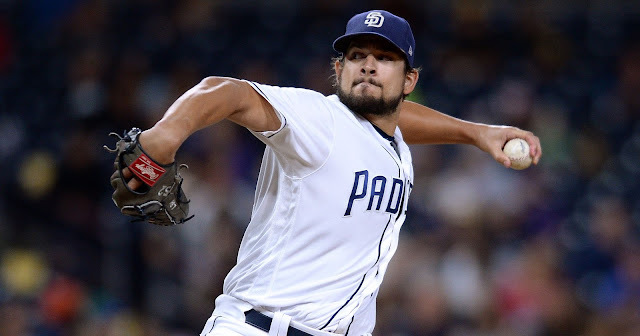 We should hope for better use of, arguably, the best bullpen in baseball. We should hope that Boone continues to not respond to the Yankees Twitter critics, but continues to get to know the players on his roster as much as possible, to know their signs before they even are aware that they are giving those signs. “We have tremendous expectations and we rightfully have those expectations but we’ve got to go out and do it,” Boone told the New York Times. If that statement is any indication, Boone is focused on winning, and will bring greater intensity to the dugout than he has before. After the disappointment of the 2018 season, I’d certainly hope he stays true to his word -- and the fire stays lit. Game Three of the 2018 ALDS keeps coming back to haunt the Yankees, and Larry Rothschild is no exception. What could the 2019 season look like for Rothschild and how could he build off of last season? If I were to give him my advice on how he could do his job better this season, two main goals come to mind: leaving that night in October behind and working on supporting Boone more than he did in 2018. Fans won’t forget about that game easily and, at least at the beginning of Severino's season when he returns in May, will be watching his warm-up start time as though we are hawks flying over Yankee Stadium. That said, we’ll be watching Rothschild, too, even if just to make sure that he’s telling all of the starting pitchers the correct time to warm up. And Rothschild’s best move is to ignore the past and focus on the present, no matter how many times we fans, and the press, bring it up. As far as support to Boone, Rothschild needs to bear in mind that Boone leaves starting pitchers in games for too many innings -- or, at least, that’s what we saw from him in his first year as a manager. If a starting pitcher looks tired, he needs to let Boone know. The other question that remains is: Should Rothschild be tougher on Sánchez? I don’t think so. He should know his pitching staff well enough to know whom Sánchez works best with, and should also identify which pitchers call for Austin Romine or Kyle Higashioka behind the plate. 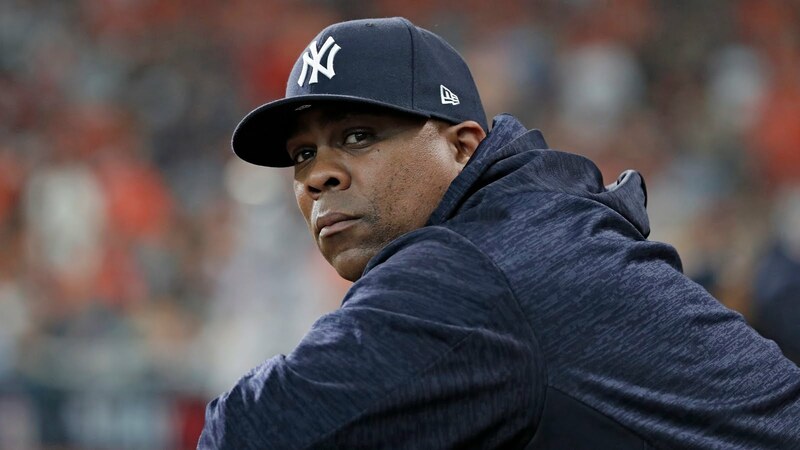 If Boone vetoes the idea, Rothschild just may have to try to make his case for it, or spend intensified time coaching his pitchers to work with any of the Yankees’ catchers. The Yankees’ bench coach’s hiring in December 2017 couldn’t have come as a surprise to anyone who follows the Yankees from the inside or the outside, considering the fact that he is a former teammate of Boone’s. He brings experience as a bullpen coach as well as experience working in the front office. Bard’s familiarity with Boone, as well as his prior coaching experience, make him a good fit for a team that is poised to win it all in 2019, but also focuses on strong clubhouse camaraderie. Additionally, bench coaches with front office experience are excellent liaisons between the manager and the front office. Harkey is another member of the Yankees’ coaching staff who survived the transition from Girardi to Boone. As such, he most likely works well in tandem with Rothschild -- which is imperative as the bullpen coach. He also brings over a decade of coaching experience to the bullpen, having joined the coaching staff of the Florida Marlins in 2006 after he retired as a player in 1997. Boone is reported to have called Harkey soon after his appointment as manager, asking him to stay on board. The good news here is that phone call indicates Boone trusts Harkey, which allows the Yankees to keep some of the old along with the new. Not to mention, the Yankees’ bullpen is touted as one of the best in MLB. That said, where should Harkey concentrate his efforts in 2019? Helping that bullpen stay healthy, and ultimately, keeping on doing whatever he did in 2018. Marcus Thames earned a promotion from assistant hitting coach to hitting coach in 2018, and reports indicate it was very well-deserved. Thames coached all of the so-called “Baby Bombers” in the minor leagues, and as such, has developed a rapport with the likes of Aaron Judge, Greg Bird and Sánchez. 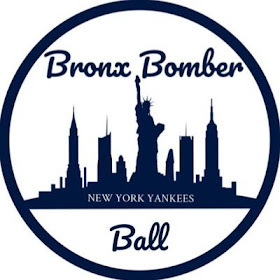 A strong rapport will hopefully help the “Baby Bombers” develop even more in the 2019 season, and someone with as much MLB experience as Thames (both as a player and as a coach) makes a great mentor for young, postseason hopefuls. Assistant hitting coach P.J. Pilittere will return in 2019 alongside Thames, after earning his first year in pinstripes in 2018. Considering his prediction that Judge would rise to greatness (not just in terms of home runs but also that Judge is “capable of special accomplishments”) even before the 2018 season, it’s safe to say that Pilittere knows his players well, and his ability to recognize their strengths will help the Yankees forge ahead in 2019. Returning to the Yankees in 2019 are Reggie Willits (first base coach), Phil Nevin (third base coach) and Carlos Mendoza (infield coach). All had jobs during the 2018 season. 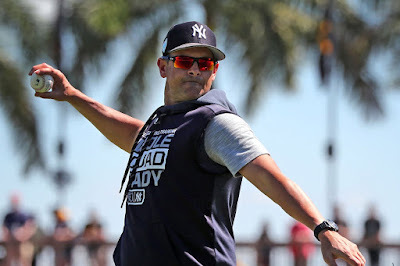 Willits, a former MLB player, brings a strong record and now, a year of experience working with many of the players on the 2019 Yankees. Regarding Nevin, many of us remember his part in one of the most recent episodes of Yankees vs. Red Sox, the in-game brawl. And while less passionate and more restrained fans may look down upon Nevin for his role -- I certainly won't. Boone is not always the first to jump out of the dugout to challenge a call, so to have a "yin to his yang" on his coaching staff is, from my perspective, helpful. Goals for position coaches? Of course, to build on successes of last season, and to move runners to scoring position. To focus on stealing more bases, and to get runners to take greater risks. One fact is for sure: this coaching staff is filled with talent, experience, loyalty and legacy -- but nothing is perfect, and a World Series ring is never in the bag. It is imperative for Boone and his staff to not follow the same formula as 2018’s formula. It was a winning formula… but it just wasn’t winning enough.